Imagine sitting down with 18 of America’s most notable marketing experts and learning their most innovative and effective strategies and techniques! 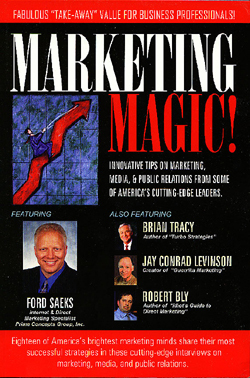 Marketing Magic! presents cutting-edge ideas from men and women with proven track records and long lists of satisfied clients. There’s treasure in every chapter!